SUNDERLAND'S WORKFORCE are developing their skills and sharing their talents through an Intern partnership. The University of Sunderland and Sunderland City Council are working together to provide students with Internships either during or after their studies, to help with their career progression. There are currently five Interns working within the council in a variety of roles including Adult Social Care, Sunderland Partnership, Policy and Research, Economic and Sustainability, and Corporate Affairs and Communications. Since the partnership began in 2017 some of the Interns have gone on to find full time employment within their chosen careers. Recent examples include Jacob Donaghue who joined the Transformation and Relationship team in the People Services Directorate as a Social Technology Researcher Graduate Intern in July 2017. He used his knowledge of digital and assistive technology to research ways in which it could be used to help the Council, particularly in Adult Social Care, and is now using his academic knowledge and practical working experience in a full-time research role with the University of Sunderland. Taking a similar route into the council with an interest in digital and assistive technology was Tomas Bobinas and Jack Bateman. Both have had integral roles in helping improve the Sunderland Information Point (SIP) website with their technical abilities and web development skills. Tomas left his post in November 2017 to join Price Waterhouse Cooper in Birmingham as a Software Developer and his career has gone from strength to strength having recently being promoted to Senior Developer. Jack remains in post until October and continues to work with the website developers and local community providers to ensure the SIP site provides people with advice and information about services and activities in their local community, allowing them to find different ways to arrange their own support, regardless of eligibility or level of need. Jack, 25, said: “When I heard about an opening for this role I was curious as it was completely different to anything I had seen before, but after a few weeks of working within the council I was completely thrilled about the work I was involved in as well as the fantastic people I worked with. 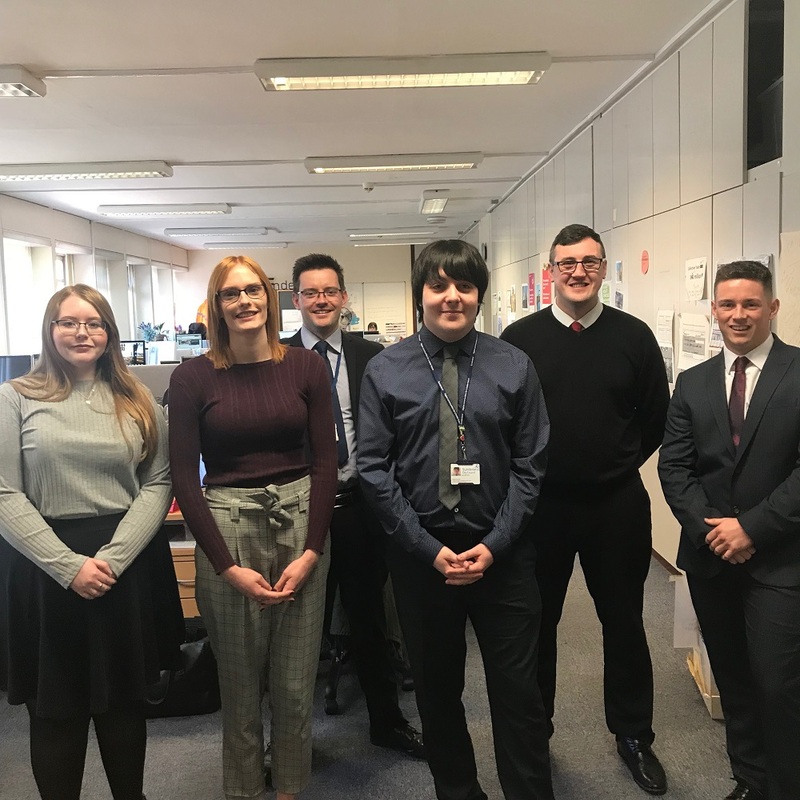 Among the three Graduate interns working within Policy, Partnerships and Transformation at Sunderland City Council are graduates Alex Kirkup, 22, Kate Sedgwick, 23, and Rachel Lawson, 23. Alex from East Herrington is a Politics Graduate from the University of York, and employed as a Research and Policy Officer. Alex said: “This is my first job, and gives me the opportunity to gain lots of work based experience in policy supporting my colleagues in a variety of roles, but particularly in economic research. Partnership, Equality and Engagement Officer Rachel is a BSC Social Sciences (Sociology) Graduate from the University of Sunderland. Rachel said: “The careers advisor at the University suggested applying for this Internship, based on my reach skills and interest in promoting equality. Her colleague Kate Sedgwick who has a Master’s Degree in Criminology from Teesside University is a Research and Policy Officer. Kate said: “Social research was a huge source of interest for me while I was studying, so this role seemed perfect. This Internship has already allowed me to put the skills I learnt at University into use, having been involved with data analysis of resident’s, staff and equality surveys and helped formulate the reports based on their results. Studying while working as an Intern within Policy, Partnerships and Communications, Daniel Douthwaite from Seaburn is a third year Under-Graduate in Business and Applied Management at the University of Sunderland. Daniel said: “This a great opportunity to continue studying for my Degree, and applying what I’m learning in a practical, working environment helping to promote MAKEit Sunderland, the city’s inward investment campaign. One of team helping to co-ordinate the Internships is Uni4Talent Team Leader at the University of Sunderland, Duncan McDonald, who added: "We've developed a strong partnership with the council over the last two years, and it's great that our students and graduates are benefitting from this. "The graduates are able to deliver energy and fresh ideas across a range of service areas, whilst receiving a salary. "Ultimately, this experience is invaluable to them at such an early stage in their graduate careers and allows them to make a positive impact within the city." Uni4Talent is the University of Sunderland's recruitment agency and works with a range of businesses across the North East to support them in identifying talent for a variety of roles including internships, graduate jobs, projects and temporary assignments. Duncan said: "The Uni4Talent team has been able to support the council from the very start of the process, drafting job specifications, promoting the Internship vacancies and helping to manage the employment process as they are appointed. "This flexible model allows us to engage with more employers across the North East and further afield, identifying opportunities for Sunderland's talented students and graduates." Deputy Leader of Sunderland City Council, Councillor Michael Mordey said: “Internships provide great opportunities for all involved, the interns tend to be recent graduates and bring new ideas and energy, and we in turn provide them with the opportunity to develop their skills and talents within a workplace environment whilst receiving a monthly salary.